The nation's employment landscape and wages have both improved over the last few years, allowing for more people to become homeowners. Low interest rates have added to the mix, making it one of the best times to purchase a home in recent history. When the economy is in good working order, as it is now, it creates opportunities in residential real estate and right now is a potentially lucrative time to sell a home. Houses that show well and are priced correctly have been selling quickly, often at higher prices than asking. In the Dallas/Fort Worth area, this is no different. 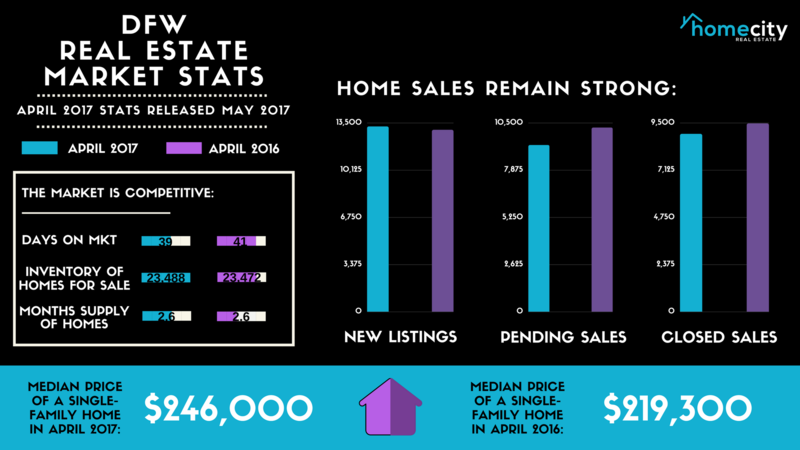 According to North Texas Real Estate Information System's monthly market statistics recently released, new listings were up in the North Texas region 1.2 percent to 13,240. Pending sales decreased 9.5 percent to 9,266. Inventory grew 0.1 percent to 23,488 units. Prices continued to move higher as median sales price was up 12.2 percent to $246,000. Days on market decreased 4.9 percent to 39. Month’s supply of inventory remained flat at 2.6, indicating a stabilizing supply-demand balance. Although there is a mounting amount of buyer competition during the annual spring market cycle, buyer demand has not abated, nor is it expected to in the immediate future unless something unpredictable occurs. While high demand is generally considered a good problem to have, it creates an affordability issue for some buyers, especially first-time buyers. And yet, prices will continue to rise amidst strong demand. If demand remains high, it’s important to ensure you have the help of a well-connected, knowledgeable real estate agent during your home buying or selling process. When selling, an agent who knows how to market your property is imperative to ensure you get the highest price for your home. When buying, having a real estate agent who is an expert negotiator could mean the difference between you winning your dream home or not.